Episode 24: Reconstructionism vs. Revivalism vs. ??? This topic seemed more pressing when I initially dreamt up my list of 30 posts. I don’t really feel the need to pin down myself as being reconstructionist or revivalist or anything in particular anymore. If you asked me now, I’d say I’m a modern pluralist semi-solid polytheist who is devoted to the ancient Egyptian gods. I am Kemetic Orthodox, but even that isn’t really accurate. That’s not what I believe, it’s how I express my beliefs. It’s how I render my love for the Divine. I used to be really intensely focused on hard-line reconstructionism. I wanted citations under everything before I would allow it into my practices. Not entirely coincidentally, this attitude sprang up around the time I started my college education. It was also the first time I’d really declared I was anything, or had any sort of real discussions about religion with my family. I wanted something iron-clad to defend myself against any possible snark that could be flung at me. Unfortunately, I took this as license to totally shred any path that did not include in-depth research of its own history. I had a few conversations that to this day leave a bad taste in my mouth. Revivalism is a little better of a term, but still lacks something. To say that you are reviving the Kemetic religion means bringing back the practices of the ancients – which is nearly impossible with the environment we live in. Our world is vastly different from the world of ancient Egypt. 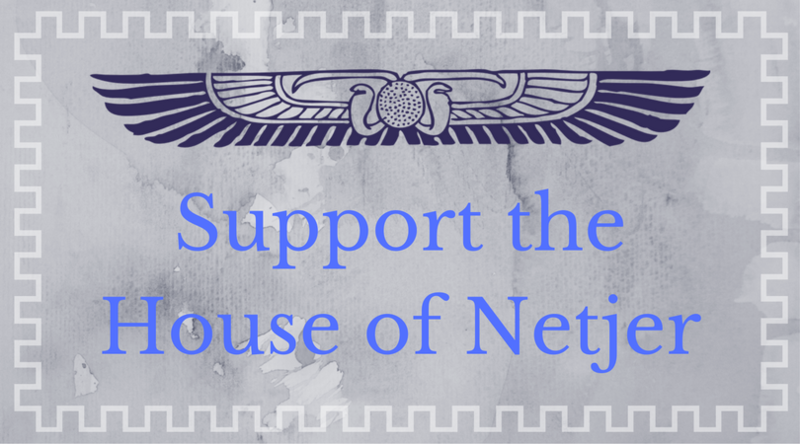 Saying that I am reviving the religion of ancient Egypt has incredible implications. It also isn’t at all what I’m doing. If I were reviving the religion of ancient Egypt, I wouldn’t be quite as eclectic as I am now. I wouldn’t be so interested in the Temple of the Twelve, or any of the other distinctly non-Kemetic, personal practices that I have. I’m not really any of those. I’m myself, as far as I can tell. I am a spiritual creature by nature, and I am working with that the only way that feels right. I love my gods, and I do what They ask, how They ask. Their ancient worshippers serve as honored guides and instructors, through the literature I am able to access. I am not a scholar, or a reconstructionist, or a revivalist. 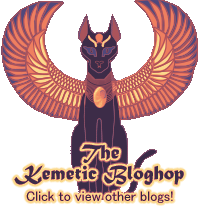 I am Kemetic Orthodox, I am a follower of Wepwawet and Sekhmet-Mut. I guess I’m the ???? part of the Kemetic collection.